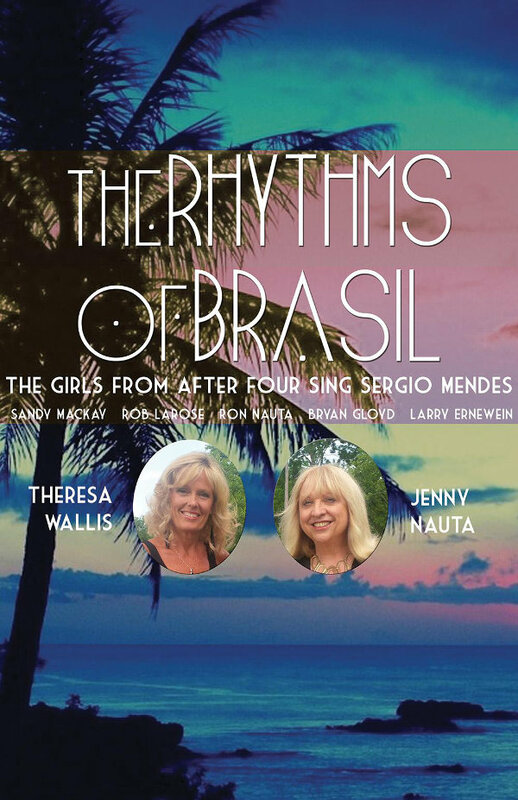 Featuring the two “Sergio girls” Jenny Nauta and Theresa Wallis. The magic of Latin jazz with the beautiful Bossa Nova came to us in North America largely in large part because of Sergio (brought to us via his mentor Herb Alpert, who had first moved to New York) and they have stayed with us as standards. Naturally, many of the tunes written by Antonio Carlos Jobim were among them. Sergio’s tunes hit the American pop charts starting in the 60’s with Brasil 66, then ’77 and on and on. Mas Que Nada, The Waters of March, Aqua de Beber, and The Look of Love…..so many more covers on contemporary tunes by the Beatles, Joni Mitchell, and Stevie Wonder… And he just released a new album this year, too!! This new and exciting stage show includes many of these hits from the early albums – especially from the first Brasil ’66 and then the Vintage ’74 album. And there are a few more recent versions. The arrangements are quite authentic. As “easy and smooth” as the music sounds, it is beautifully layered with complex rhythms and synthesizer horn and string lines.